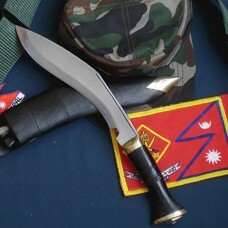 Mini Jungle Kukri, it has been named so due to its size, is very useful in jungle warfare and is on high demand by trekkers and hikers as its handy size makes it easier to carry around and performed jungle tactics effortlessly. 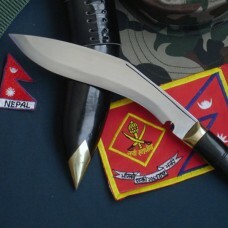 The Kukri fits well in the hands of the Gurkhas who are normally short-stature. 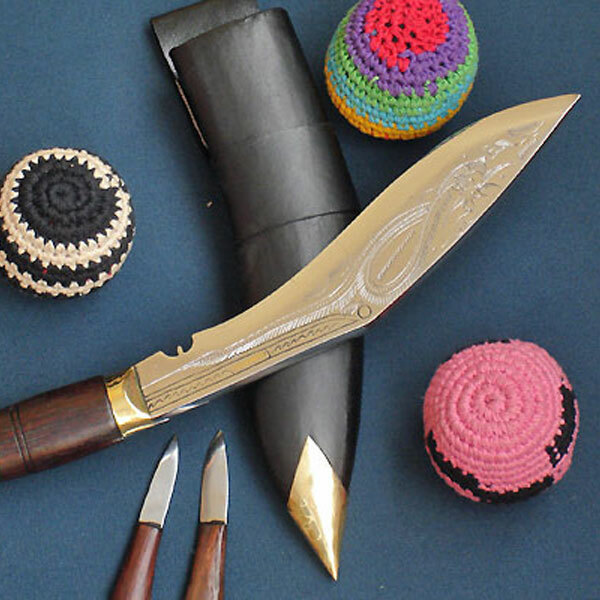 This Kukri works perfectly well in small household task. 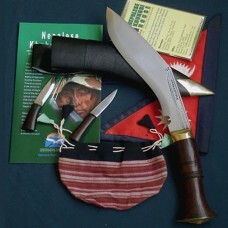 It is used for small cutting, pruning and similar tasks It is also used for domestic use and for gardening purpose. 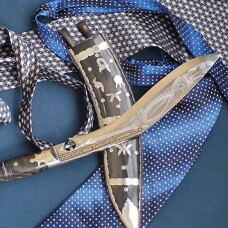 This Mini jungle Kukri is engraved with dragons using traditional tools for display. 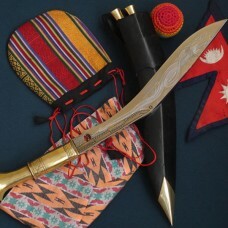 The blade is 8" long and the Indian rose wood handle is 4.5" long. 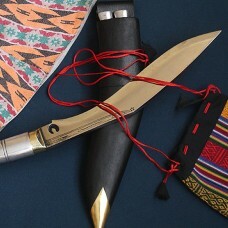 This knife of weight 450 grams along with the buffalo hide scabbard. The total shipping weight including display wooden stand with packing will be 1.5 kg.